Each AquaClimb® comes complete with guidelines for safe use. AquaClimb® has clear protective panels to prevent climbers from climbing over the top of the wall. The AquaClimb® frame curves and hangs over the pool so that the natural re-entry into the water is feet first and the descent is away from the pool wall and edge. Non-abrasive surfaces and holds prevent scrapes and cuts. Natural re-entry into the water is feet first. Initial AquaClimb® climbing panels are submerged, overlapping any guttering system to prevent entrapment. Climbers swim up to the AquaClimb® activity wall, restricting non-swimmers from using the wall without entering the queue in the water. AquaClimb® products are recommended by the Aquatic Safety Research Group (ASRG) and are approved by state and local health departments throughout the USA, in addition to major health and safety organizations like PlaySafe LLC, a member of the International Play Equipment Manufacturers Association. Check out these articles on the benefits of rock climbing for kids! Aquaclimb stands on a history of providing a safe climbing experience. The recommended rules provided on our signage and advised during the sales and acquisition process are extremely important to operating a safe and fun activity for all. We have recently viewed four YouTube videos which show our walls not being properly supervised, having the safe operation signage being displayed at the wall and the wall itself being used in a potentially unsafe manner. Though no accidents have been reported we strongly ask that all facilities please review the safe operation signage with staff and follow our guidelines. 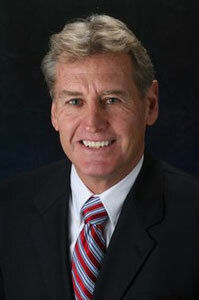 Dr. Tom Griffiths is the President and Founder of Aquatic Safety Research Group, LLC. Recognized as an international leader in water safety, he has spent 38 years teaching, coaching and managing aquatics at three major universities. Griffiths has produced videos, textbooks, articles, and presentations in various areas of aquatics focusing his efforts on safety. He has also conducted hundreds of aquatic facility and beach inspections across the nation and abroad and teaches full day Aquatic Risk Management seminars. Perhaps his most significant contributions are the Five Minute Scanning Strategy©, Griff’s Guard Stations©, Disappearing Dummies, his research on Shallow Water Blackout, and the National Note & Float program. He has been an aquatic safety expert for more than 40 years and shares his knowledge, expertise, and experience worldwide. Griffiths just released the 3rd edition of the popular The Complete Swimming Pool Reference. Rachel Griffiths, M.A. is the Communication Director for Aquatic Safety Research Group. Rachel conducts water safety research to help prevent drowning and provides water safety education to the public. She is also the President of Note and Float Life Jacket Fund, which donates life jackets to aquatic facilities to implement the Note & Float™ program. She has recently been awarded a Power 10 Advocate by Aquatics International. Rachel publishes water safety articles, teaches Aquatic Risk Management seminars, and has conducted and written reports for a myriad of aquatic facility audits throughout the country. Rachel authored the 3rd edition of The Complete Swimming Pool Reference, 2014. She is currently pursuing a doctorate in Public Health.